A car accident can be a traumatizing experience for all of those involved. 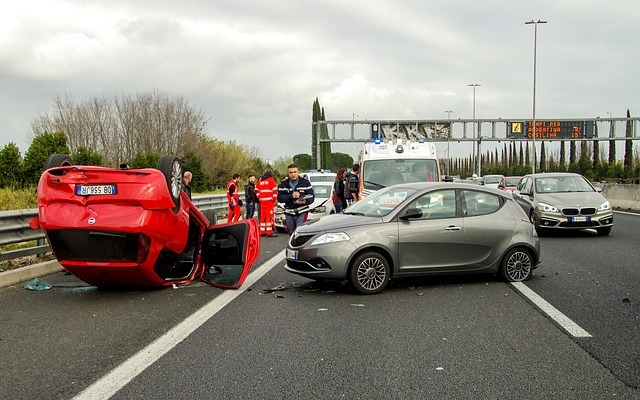 As a passenger, getting involved in an accident can be even more scary and confusing — who pays for damages, who files a claim? After ensuring that the driver and other passengers are safe, these thoughts may be running through your head. Figuring out the logistics of such a situation can be a complex process. If you have been injured in an accident as a passenger, your first and best option is to sue against the other driver’s insurance policy — assuming the other party is at-fault. In nearly all states, there is a law in place mandating a minimum amount of car insurance. This mandated car insurance is broken down into two categories: Bodily Injury Liability (BI) and Property Damage Liability (PD). The former relates to injuries and has a payment limit per person. The latter covers damage caused to someone else’s property. Filing a claim with the other drivers insurer is often not as straightforward as it may seem — complications frequently arise. If multiple people are injured in the crash, there is a chance the insurance will not be enough to cover everyone. Further, if the other party only has the minimum required insurance, you may receive barely any compensation for your injury and bills. In addition, in many accidents the “fault,” or who is responsible for the accident, can be unclear. Thus, the opposing party’s insurance will not want to cover damages, unless fault can be definitely proven. This often can be a long, drawn-out process that can span over many months. You can also recover damages through your friend’s car insurance policy as well. The easiest way is to use their personal injury protection (PIP) or Medical Payments (MedPay). These both cover all passengers in the car and are considered to be “first-party benefits.” In other words, if the driver of the car files a claim they will receive damages, regardless of who was actually at fault. Thus, as a passenger this is your best option. It pays out quick, and your insurance rates won’t go up. However, personal injury protection is only mandatory in 12 states, whereas Medical Payments is not mandatory anywhere. As a result, it is more likely than not that your driver will not have this coverage. In this case, you may have to file through your own insurance as well, which may cause a hike in your rates. If you or a loved one have gotten into a car accident as the passenger, you should not be at fault, and thus should not have to pay. However, this is often not the case, and passengers end up being penalized. Properly getting covered by insurance can be a very tricky legal process, one that an experienced attorney can best assist with. Contact a car accident attorney to discuss your case in greater detail.